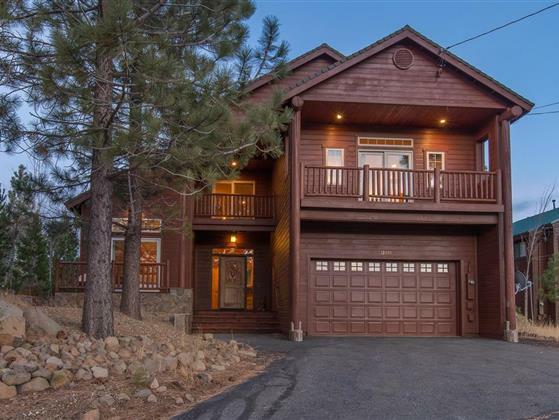 ONE OF A KIND MAJESTIC MOUNTAIN HOME WITH BEAUTIFUL VIEWS of the Carson Range, Northstar & the Sierras! Luxury living at its best in this meandering home designed for a large group with a stunning dining, great room & family room w/high ceilings, 4 bedrooms, 3.5 baths, including two large separate master suites-one of the masters is off 1st floor with its own wing, a large loft with wet bar opening up to another loft/bunk room PLUS a large rec room/media room! Backs to greenbelt. Excellent rental history.